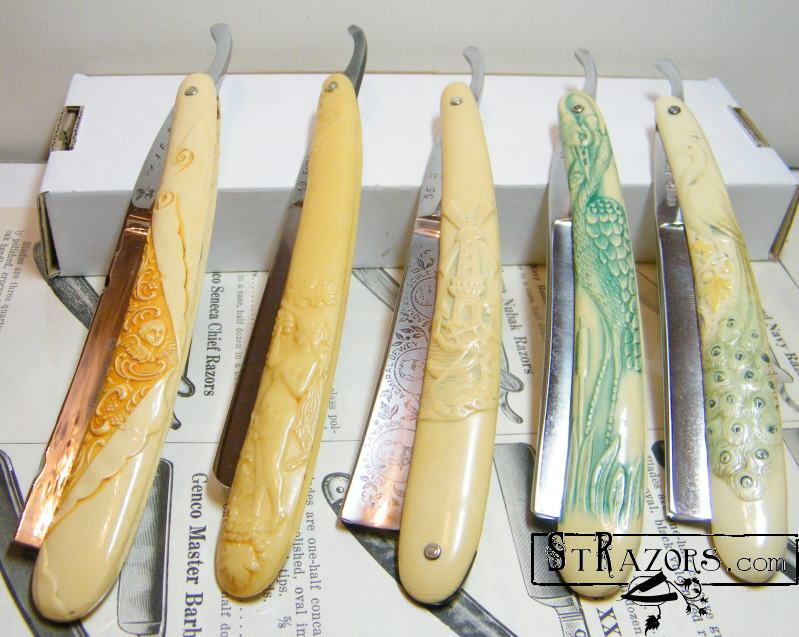 STRAZORS.com - all about classic razors - Fancy scales. 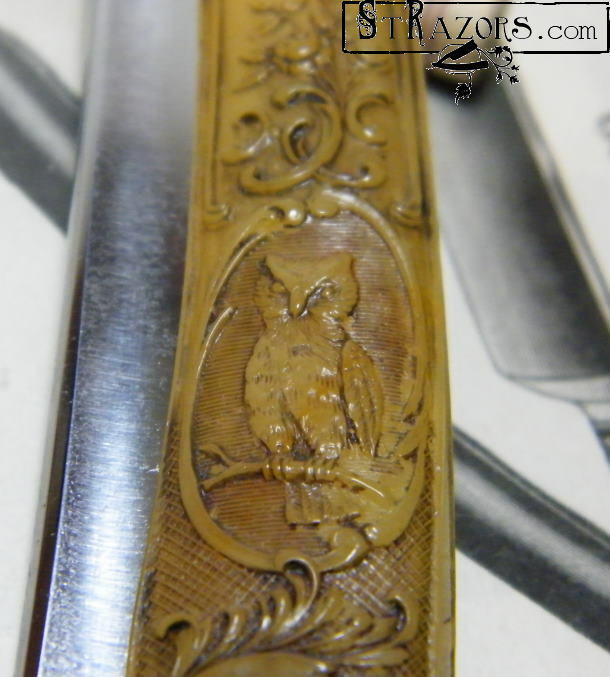 The handles with "Owl" aren't so rare, but they don't meet so often. Levering Razor Co., New York. Fancy bone scales by Herbert Robinson & Co., Canton Works, Sheffield. TREE 106 by Hermann Boker & Co.
Gotta by Grah&Plümacher, Rasiermasserfabrik, Solingen-Weyer with the aluminium scales. Elite, Wade & Butcher, Sheffield, England.